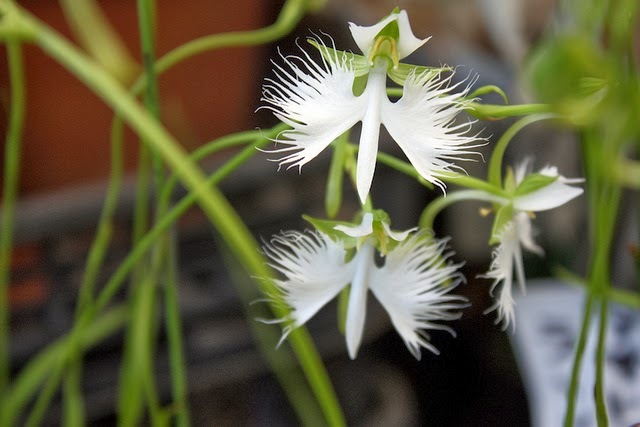 The White Egret flower - Pecteilis radiata (previously known as Habenaria radiata), is one of Japan’s best known flowering plants. 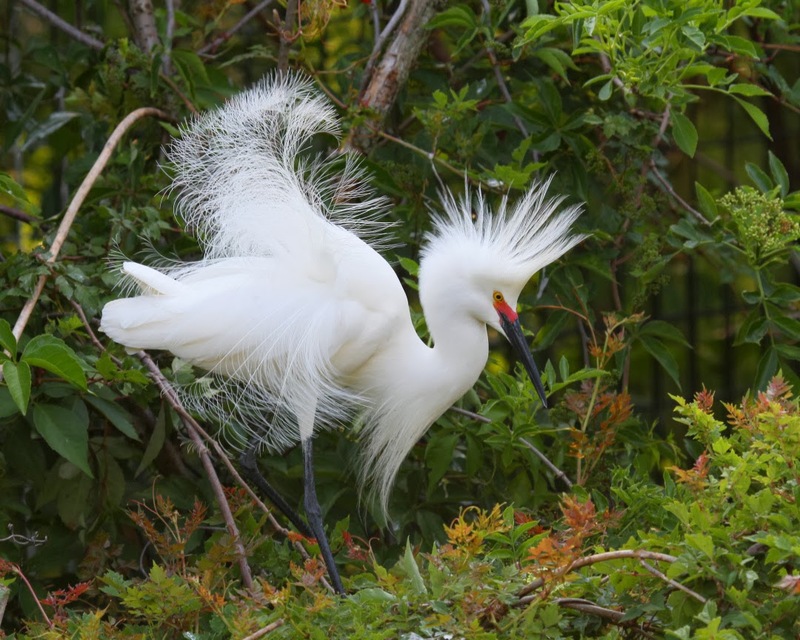 And why wouldn't it be as its flower does indeed look like a snowy egret with its plumage puffed out. It is a delicate terrestrial species of orchid, and despite being a popular, well known species it is becoming endangered in the wild. 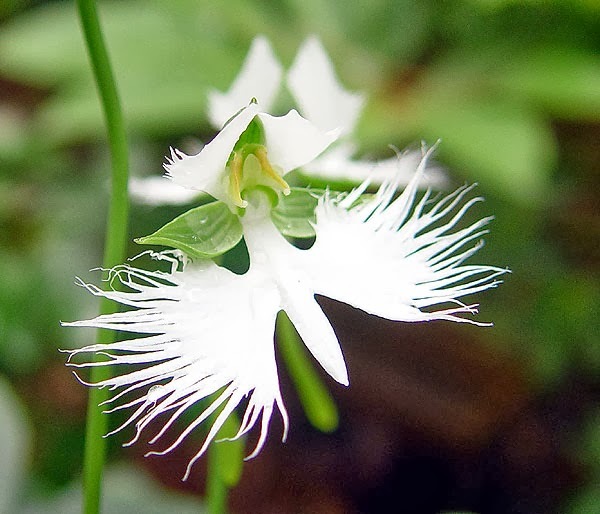 Native to China, Japan, Korea and Russia the White Egret flower is usually found in marshy but well-drained soil that dries out in the autumn. Purchased as small, pea sized tubers, the White Egret flower can be planted directly into the garden as long as you water it well throughout the growing season. It prefers, cool, damp conditions in a sunny spot. It will even take a certain amount of light shade! Fertilize lightly with 10-20% of the recommended dosage of an all-purpose plant food once or twice as the flower shoots emerge. The exquisite white flowers are then produced on flower spikes that are between 5-9 inches long, occasionally longer. They will not survive the cold winters of northern Europe but they are easily saved by digging up the tubers, before freezing temperatures arrive. Once lifted, dry them out and plant into either sphagnum moss or moss-peat. Store in a cool, frost-free environment and dampened down the peat once a month to prevent the corms from drying out entirely. Alternatively, you can plant the White Egret Flower into containers, but make sure that there is plenty of drainage by placing a layer of pot shards or clay pellets in the bottom. 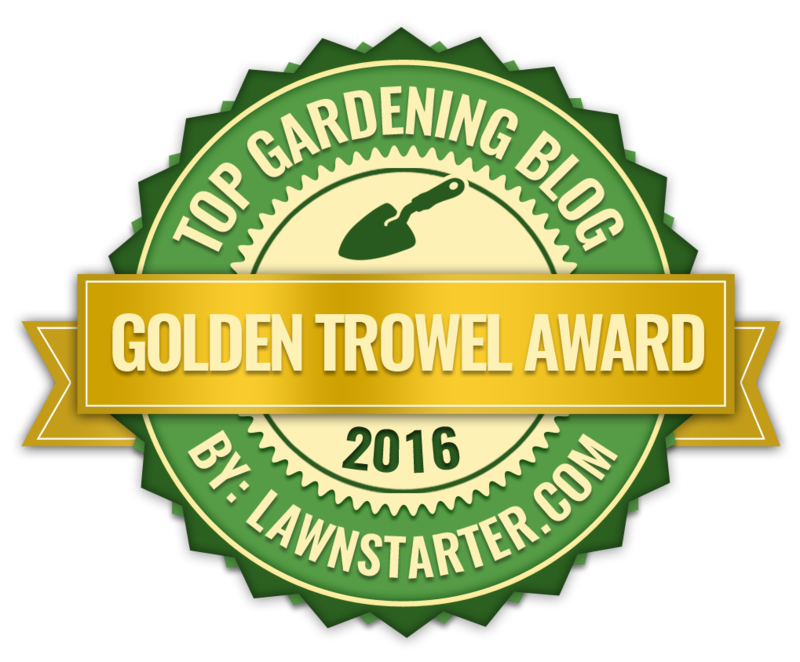 You will need to improve the drainage of the potting soil too, but this is easily achieved by mixing in 30% by volume horticultural grit, perlite or vermiculite. Plant the tubers on the surface of the pot and 10 cm apart. Give it a light covering of soil and press firmly down. Water generously immediately after planting, and continue to do so throughout the growing season.